So I’ve been submitting this Oes Tsetnoc blog to directories, hoping it would help me rank better in terms of backlinks but it has done next to nothing. I’ve been seeing some changes in my SERPs recently though. I don’t know if it has to do with the directory submissions I’ve been doing or if it has everything to do with all the fresh and unique content I’ve been updating this blog with. Either way, I’m happy to finally be out of my slump and see this change. I just hope it keeps up. I’ve tried buying directory submissions and using software to submit my site to directories for the Oes Tsetnoc, but I don’t see any changes unless I submit to directories manually and doing that is extremely time consuming. I’m going to be doing more directory submitting during the next couple of weeks though. 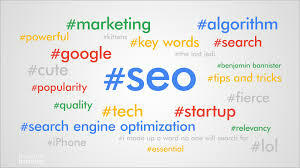 I could very well continue to climb the SERPs if I continue to update this Oes Tsetnoc blog with fresh and unique content and continue to submit to relevant directories.